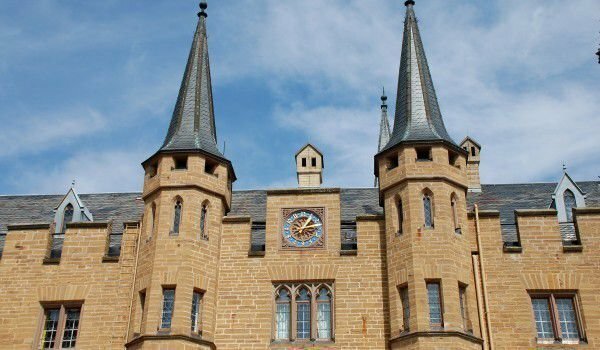 Castle Hohenzollern is the ancestral seat of the Prussian kings and German emperors, and the Bavarian branch of the nobility of Hohenzollern. This incredibly beautiful castle looks like a fairy tale and is considered one of the most famous and popular castles in Europe. Incredible views of the surrounding landscape, spreading around Hohenzollern has its admission from Emperor Wilhelm II (1859-1941), who visited the castle several times. His first visit was followed by the phrase: "The view from up here is a whole adventure." 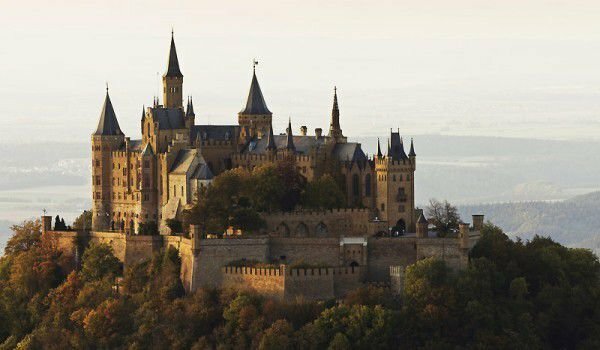 Hohenzollern Castle rises majestically on top of Germany's eponymous mountain Mount Hohenzollern at an altitude of 855 meters. Below it in the picturesque valley town remains Hechingen, but is also very close to Bisingen. Both villages are located in the foothills of the Bavarian Alps. Spectacular Hohenzollern is about 30 km west of Stuttgart. The original castle on this place was built in the first half of the 11th century. As of 1423, however, the castle was completely destroyed after a ten month long siege. In the initial stage of Hohenzollern, its central interior was in a small chapel that had started the construction of the palace of the local rulers. In the coming years and centuries the castle was attacked continuously, subversion, and then re-built. The first 400 years after its construction during the 11th century Hohenzollern permanently endured raids being bombarded by catapults, attacked by archers and knights. In 1850, Prussian King Frederick William IV, together with his cousin Prince Karl Anton von Hohenzollern started building a new castle which raised 400 annual ruins of the fortress. The new palace was completed in 1867 and soon became a symbol of the new rulers of South West Germany. Underlying Hohenzollern there were sculpted statues that rather transforms a number of Prussian kings and nobles. In one of the rooms inside the castle you can see the interesting family trees of all clans and royal families who inhabited the walls of the magical Hohenzollern. Today the castle is open for tourist visits, and tours and for private viewings.